Mike Patterson’s Family migrated from Corofin, County Clare Ireland in the early part of the 20th Century and fostered a strong connection to the environment and a healthy appreciation of farming values. A strong connection for people and place is integral to the Patterson’s approach to all things vinous. Having spent the majority of their working years in and about Marlborough, Mike and Anna have no doubt regarding the potential of their adopted region, and were well placed to approach their first choice of vineyards. 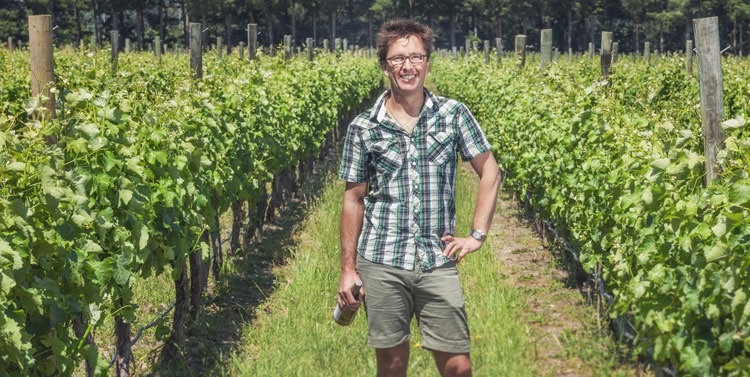 Indeed, Paterson’s selection of sites reflects both a winemaker’s enthusiasm for Marlborough’s Southern Valley hillside vineyards plus the dedication of certain grape growers whose vineyards he believes ‘act as a beacon of Marlborough individuality’. Not by accident do these growers focus on organic and/or biodynamic principles. In a region where for much of the time money talks and terroir walks, Corofin’s wines show that great, singular terroir is thriving in Marlborough (a cliché that has sometimes hit troubled waters in its journey across the ditch). Paterson goes one step further in demonstrating that precocious, ripe Marlborough Pinot can be made without confected fruit, nor winemaking artefact—Paterson’s are beautifully aromatic, detailed and sculpted Pinot Noir, which combine the best of all worlds: finesse, freshness, terroir transparency. We can already tell you he’s got a similar way with Chardonnay. The wines have the aromatic prowess and elegant texture that will appeal to Burgundy fanatics, but also youthful generosity and reasonable price tag; qualities all Pinot lovers can get behind.